So there’s chocolate and there’s books. Two favourite things of mine. Sylvia Bishop clearly feels the same for she has transplanted the idea of Willy Wonka’s chocolate factory into a book about bookshops. Property Jones was left in the lost property cupboard of a bookshop when she was just five. Now she lives with the owners – a mother and her son. She loves living there, with her adopted family, but as was the case with Charlie Bucket and his family, they are impoverished. And Property is impoverished in more than one way, for she is harbouring a terrible secret – she is illiterate and cannot admit it. And then, fortunes appear to change when the family win a competition to own Montgomery’s Emporium of Reading Delights, perhaps the greatest bookshop in the world. The shop smells of books, the rooms are themed on a grand scale: a dictionaries room in which everything has a brown tag label; the room of knights and castles books with stone walls and tapestries, books of woodland tales in a room in which the floor is covered with pine needles – and so on, all operated with a series of levers and pulleys – stacks of rooms in loops. But with more power comes more responsibility, and possibly great danger, not in terms of the grumpy cat who resides there, but the grey man who lurks mysteriously in the shop. 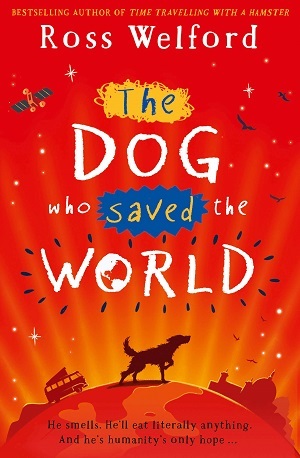 This is an old-fashioned adventure story, wrapped up in the fantastical delight of limitless imagination. There are forgeries and baddies, befuddled old gentlemen and oddball cats, and children seeing and doing more than the adults. But above all, a shining colourful adoration for books. The ultimate message is one of honesty – being true to yourself and others, and seeing what’s true and what isn’t. What message could be more pertinent in this era of fakery and falsification? And most of all the text and characters feel fresh; the premise may not be new, but it has been executed as if it is – the prose reads freely, the plot moves like liquid gold. 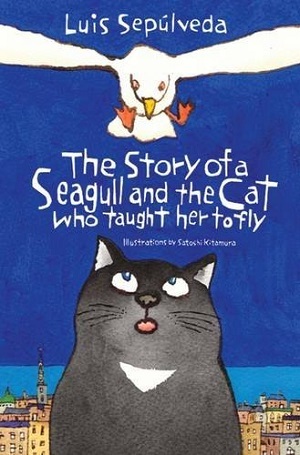 If I was seven again this is the book that would make me fall in love with reading. And bookshops. I was sent this book to review in the early proof stages, but have been promised (and given a sneak peek) of the illustrations that will embellish the book. I have no doubt that they too will be as exquisite as the text. Don’t miss out – this could be your child’s golden ticket to a lifelong love of books. Suitable for age 6+ years. You can buy your own golden ticket/bookshop girl here. It’s nearly Christmas. Bring out the bells and lights, decorate the tree. Here are some new Christmas-themed book delights to wrap up for the big day. Click on the book title for a link to buy. Click here for my non-Christmas themed holiday gift selection. A red and green foiled cover with a host of elves is a magical way to start the Christmas season. Steve Antony’s The Queen’s Present, complete with the Queen in Santa’s sleigh on the front cover, is a magical delight of a book. Familiarly set out as the other books in the series, this one traverses the world as the Queen seeks presents for the little princes and princess. Flying through Paris, Pisa, Egypt, Japan and New York to name but a few, the book is illustrated with thousands of elves carrying presents across famous landmarks. The colour palette is restricted to Christmassy green and red, with Steve Antony’s famous massively populated spreads showing characters from previous books, and elves up to all sorts of mischief. Of course, the moral of the story is that time with family members is the biggest present of all. But this book would bring a big smile too! Fabulous Christmas entertainment. For those worried that Santa won’t visit them because they don’t have a chimney, Little Tiger Press have come up with the perfect solution. Santa’s Magic Key by Emi Ordas and Stephanie Stansbie is a book in a box complete with golden key (a fairly sturdy piece, no plastic rubbish here). A cute story book inside explains the significance of the magic key, enabling Santa to visit even when there’s no clear access – this is one to gift to the children before Christmas Day. If you associate Christmas with watching films, then this precursor to the film might be for you. The Nightmare Before Christmas, written and illustrated by the famous Tim Burton is a brilliant accompaniment for all fans of the film, and newbies too. Containing exclusive original sketches, this is for those who want a bit of a fright with their Christmas pudding. Macabre and witty, don’t miss out. More gentle, and more whimsical is Blue Penguin by Petr Horacek. A beautiful tale about friendship and finding your own voice, Petr’s illustrations linger in the imagination, evoking an icy blue and green wonderland of the South Pole. 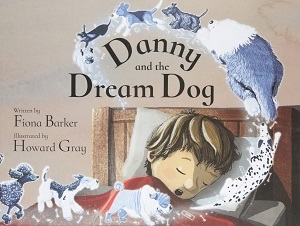 The children adored this tale of belonging, which evokes strong emotions through its enchanting illustrations. The tone is one of muted sadness, a kind of dream landscape that has a happy ending but will leave the reader thinking. Once Upon a Northern Night by Jean E Pendziwol and Isabelle Arsenault is a poetic lullaby, a paean to the land of wild animals, snowfall, and the northern lights. Another one in which the illustrations evoke a certain sadness or stillness, the beauty of wintry nature and the feeling of being lulled softly to sleep in a warm bed. 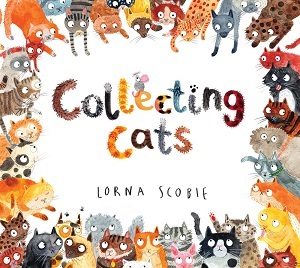 Sensational use of language, and stunning use of illustration. A totally different feel with The Cat Who Ate Christmas by Lil Chase and Thomas Docherty, this is a book for newly independent readers, based on a real naughty kitten. A charming story, with a fun family and a mischievous cat called Jingles, this chapter book is packed with large exquisite two-tone illustrations showing the wonderful family atmosphere at Christmas time (even if the cat makes it a little haphazard). It’s good to see diversity represented in this family, and a host of activities at the end of the book, including crafts, cooking, facts and jokes. Top choice for this age group. 5+ years. I’ve mentioned her before, but Robin Stevens definitely has the magic touch. Her Murder Most Unladylike Series (think Enid Blyton crossed with Agatha Christie) keeps getting better and better, and this Christmas themed title is no exception. Mistletoe and Murder by Robin Stevens sets detectives Daisy Wells and Hazel Wong a new mystery but also a deadline – when a brutal accident occurs two days before Christmas, the detectives suspect murder, but they must solve the crime before Christmas morning. Set in a beautiful snowy Cambridge, with tales of sumptuous teas, ornate buildings, and some roof climbing, this is pure joy. Hazel Wong’s narrative is emotionally astute and easy to read. Stevens manages to add her usual twists and turns, and her effortless mentions of food (this book makes you long for mince pies as well as bunbreaks). She also incorporates a darker side in this title when she touches on what it’s like to feel like an outsider in British society. With lashings of boy crushes, a hint of feminism, and perfectly exquisite 1930’s student language, this is one to be savoured with an extra helping of Christmas cake. Check out my books of the week in November and December for other wintry reads, including The Christmasaurus and to come at the weekend, a rather special book called Winter Magic. Probably best known for his imaginative picture books and for illustrating Jacqueline Wilson’s books, Nick Sharratt has just published his first novel, aimed at newly independent readers. This age group can be particularly hard to supply with good quality books. 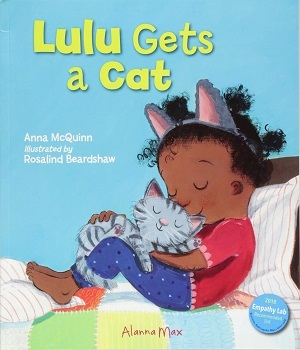 In the past the range has remained rooted in the Horrid Henry canon – but luckily for this new generation, there are now a whole host of beautifully illustrated great stories being produced so that the magic of reading continues from picture books into longer length novels (Mango and Bambang, Isadora Moon, Rabbit and Bear). One of the tricks with competent readers is to replenish the supply, whetting and sustaining their appetite for reading – and quickly; these enthusiastic readers can fly through books at the rate of one a day (although often coming back and re-reading to soak up the content and pore over the illustrations). Nick Sharratt’s offering ticks all the boxes needed for this age. 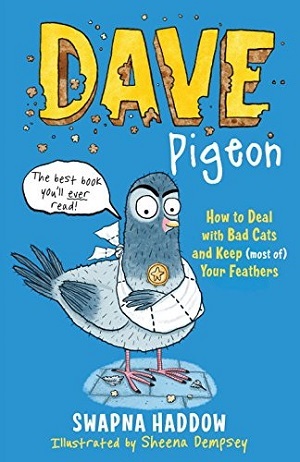 A well-paced enthralling story, plays-on-words, plentiful humour, great vocabulary, and of course overflowing with brilliant illustrations that enhance the story and add extra dimensions to it. The story is so well laid out that there are not only illustrations on each page, but on some pages illustrations to accentuate each phrase. The king’s castle has burned down in an Unfortunate Incident with a dragon. Together with his cat, he must find a new home and a new way of life, seeing as all his servants took the opportunity to flee during the Unfortunate Incident. What follows is an account of a king transported from his comfort zone, and the unfailing loyalty and friendship of his most clever cat, without whom it seems, he would be truly lost. Sharratt is great at providing reader-impetus in his books. You cannot read the book without becoming fully involved. Drawing on previous ideas from books such as You Choose, Sharratt has provided illustrations of all the houses the king and the cat look at before they settle on the perfect fit, as well as illustrations of their possessions, and what they buy on their shopping trips. He also plays with the idea of the king’s servants doing extra jobs, both whilst they were servants, and the jobs they do afterwards – so that the reader can spot the same person dressed differently. It’s rather good fun. 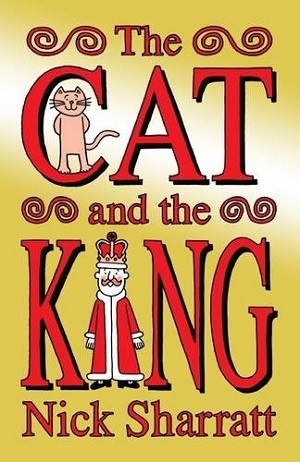 And added to all this interactivity and play with stories, text and illustrations, are the wonderful personalities of the cat and the king, each with their own foibles and senses of humour, and yet a great partnership – they do truly care for each other – providing a shining example of friendship. Children can absorb the message behind the story easily – that it is best not to be so pampered that a person can’t do anything for themselves – in fact they will delight in being able to accomplish tasks that the king himself can’t. 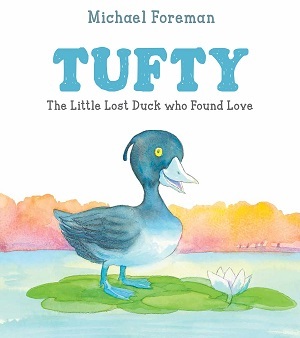 Illustrated in two colours, this is a sweet, warm and wryly funny story. For reading together and discussing, or reading alone. You can buy it here. 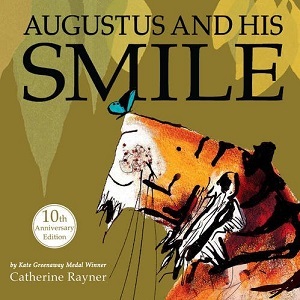 Ten years ago Catherine Rayner won the Book Trust Early Years Award with Augustus and His Smile. 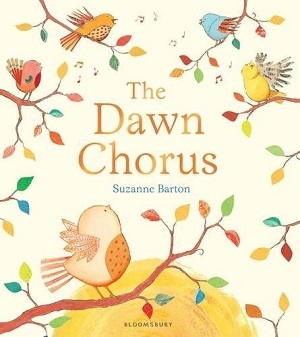 This lovely picture book about emotion and the landscape of the world captivated readers with the beauty of its ink and wash illustrations. Augustus the Tiger is sad and has lost his smile. 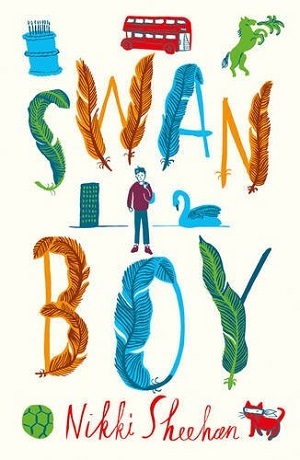 He sets off to find it…and searches through a multitude of landscapes, until in the end he realises that happiness is all around him – and finds his smile in his reflection in water. Of course, the story is simple enough, but the magic of the book lies in the intensity of the illustrations – apparent from the start when Augustus stretches before his search. Rayner’s illustration of Augustus stretching reaches across a double page, and blends the ink and gentle orange toning with the wildness of the reeds and grasses in which he is stretching. It’s an image that is almost tangible – immediately apparent that Rayner took her inspiration and guidance from tigers she watched in Edinburgh zoo. A colour wash lends a fluid feel to the images, capturing the movement of the animals, birds and insects. The images are simple, minimalistic, but created with shadow and scale to create a perspective of real animals in the wild. The tiger’s padding and leaping is magical, as is the fact that Rayner has also managed to incorporate a human smile into the tiger’s face, without it being strange – it is as much a part of him as his tail. Smiles are contagious – studies have found that it’s not impossible, but actually very difficult to remain frowning at someone who is smiling back. Developing babies even smile in the womb. And for children it is important for them to be shown smiles. Over a third of us smile more than 20 times a day, but for children the number of smiles a day rises to a staggering 400, and we want to keep it that way. Perhaps we can learn from this too – a study at Penn State University found that when you smile, you appear more likeable, courteous, and even more competent. There’s another reason to smile with the 10th anniversary edition (with gold foil jacket) of Augustus and His Smile. David Shephard Wildlife Foundation are offering animal adoptions (tigers) with a special edition adoption pack including a signed edition Augustus print, the book, and a soft tiger toy. Tigers have lost about 93 per cent of their natural range due to deforestation and climate change, among other things, and are an endangered species. But we can smile, as tiger numbers in the wild are now finally on the rise again up to 3,890 in April 2016 from 3,200 in 2010. Wildlife charities would like to double tiger numbers by 2022, giving them enhanced protection from illegal wildlife markets and compensating for, and halting, the loss of their natural habitat. 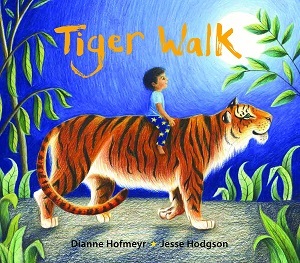 Take a look at the book, admire the tigers, find your smile and hopefully the next generation will be smiling at the doubled number of tigers in a few years’ time. You can buy the book here.